Early voting for the Nov. 8 election was expanded Monday throughout Chicago and the city’s neighboring suburbs. In Chicago, each of the city’s 50 wards will offer one in-person registration and voting site through Nov. 7. This is in addition to the Illinois State Board of Elections’ Super Site in the Loop, which opened earlier this month. 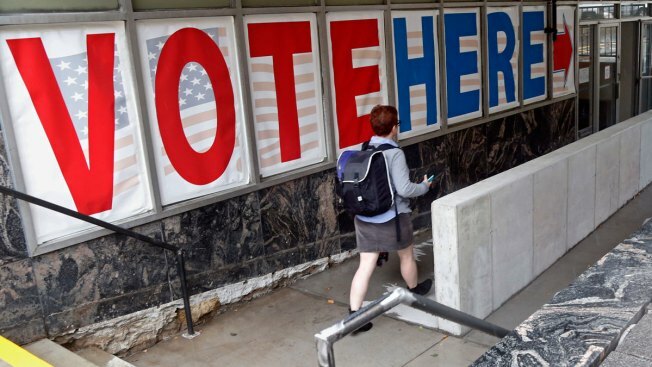 Chicago State University, Northeastern Illinois University and the University of Illinois at Chicago will also be facilitating voter registration and early voting sites from Nov. 2-4. Here's a full list of early voting sites in Chicago. Additionally, there are 51 places voters can cast ballots in the Cook County suburbs. Here’s a full list of early voting sites in the Cook County suburbs. The state’s early voting technically started on Sept. 29, but voters were only able to cast ballots at pre-approved locations, like county election offices.